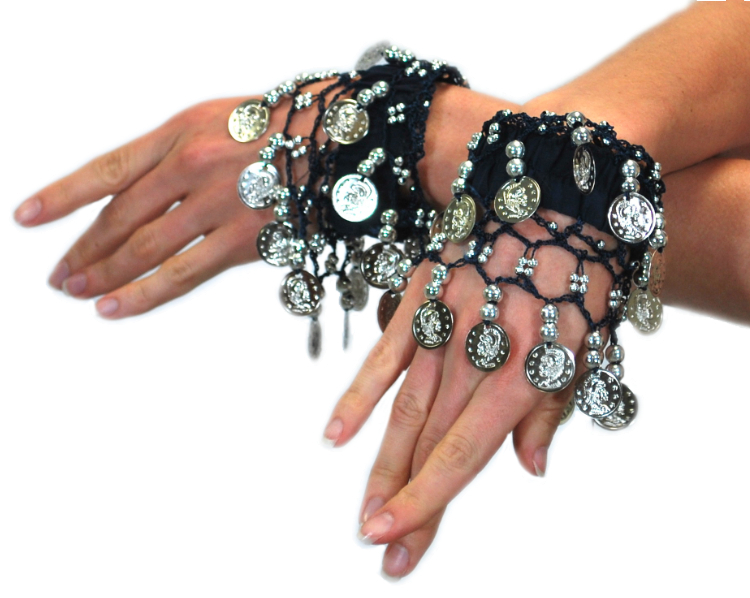 PAIR: These black chiffon bracelets are ideal for your wrists or ankles. Inside stretches up to 10 inches around. I really like the way they look. I have really small wrists and they are a bit tight. these will not fit if you are plus size. they fit my wrists and are too tight on my ankles. I kept them as they will be fine for another costume. I am not a large woman. definitely adds some wow to the costume. and they just fit over my large hands.